1. A post that REALLY resonated with me this month was Hannah's Why You Should Put Down Your Phone And Let Yourself Feel Bored. Bloggers especially will really relate to this. 2. Ok Halloween is long gone now, but can we appreciate how cool these Halloween cocktails are? 3. I'm in love with Liz's pretty pink coat, can I steal it please? 4. Kate's post on her new Autumn beauty additions is just all the goals - let me borrow your pretty photography skills please! 5. Blogging Queen and total and utter babe Jemma wrote her ultimate guide to blogging, and you should totally go and check it out right now. 7. Vix has had the best year, and one of the main reasons for that is that she keeps it real. She did an excellent post about grief which you should all go and give a read. Also she's in the latest addition of Blogosphere magazine so I recommend you buy one and read her interview! 8. As those of you who follow me on social media might know, my blogging bestie Rachel visited me for a weekend in London recently and we had so much fun. I introduced her to my favourite coffee haunt Timberyard, and she wrote a great little review on it! 9. I also saw the lovely Fran this month and we had the most perfect looking rose lattes this month - seriously prettiest lattes ever! 10. Let's be real, 2016 has not exactly been the most positive year ever so I loved Katy's bumper edition of Happy Monday with 150 good things that happened that week. It includes happy moments from a lot of us (including me) so go check it out! 11. Rhi took some photos wearing her Dr. Martens and she looks just amazing. I'm in awe of this girl, and now kind of want to third wheel her and Joe because they always take the best photos! 12. Kara is one of the loveliest people you could ever meet from blogging, and her blog is just as lovely too. She wrote a post about the drinks company Just Bee which makes the yummiest honey infused drinks! 13. Something I attempted to write about this month was Trump, and honestly in the end I just couldn't put all my feelings into words. But luckily Fii has summed up how I feel about it perfectly! 14. Tiffany has done a cute little Lyon travel guide which is the perfect introduction for anyone planning to take a trip there! 15. Martha's outfit posts are always so stunning, and interesting at the same time. She did a post asking if the blogosphere is too oversaturated and I definitely recommend giving it a read. 16. I loved Ellie's festive GRWM. Her dress is also just so lovely, can I steal it from her please? 17. 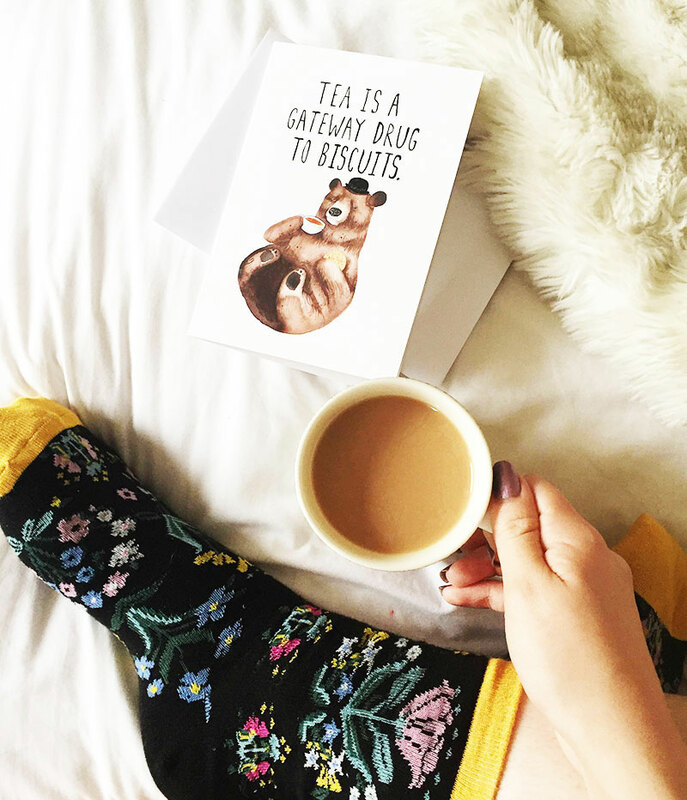 A lot of us are suffering from SAD this year, so if you are too you should check out Jordan's lovely post on how to combat SAD this Winter. 19. Jess and Josh's blog has been one of my favourites to read this year, so it's lovely to read their reflection on reaching their first year blogiversary! 20. Every outfit Josie wears always looks so incredibly chic, and I love her leather look jeans! Thanks for reading lovelies! Have an amazing rest of your Sunday and let me know if you have any blog recommendations of your own! Thanks for sharing new blogs for me to check out!